Feeling confused by all the weight-loss advice out there? No wonder. Diet trends, infomercials for exercise gadgets, ads for pills, and even the latest medical breakthroughs all promise to help you shed unwanted kilos — and they often contradict each other. Sheena Hendon takes a look at holistic weight loss and how mainstream (and natural) medics are recognising that the answer is not simply just more energy out than in and the part metabolic imbalances and the mind play in managing weight. With so much weight-loss “wisdom” to wade through, many people simply throw up their hands and decide they might as well just eat whatever’s in front of them. I have clients on Paleo diets who are hanging out for carbs, secretly inhaling sugary muffins in desperation, and putting on even more weight. Others who are gluten-free, sugar-free, calorie and food free dieters who are missing so many vitamins and minerals that their health has gone down the tube. Don’t get me wrong – there are benefits to all of these ways of eating. 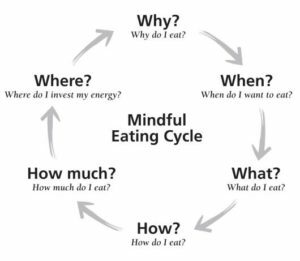 So what is the answer, what should you eat?. When we take an integrated health approach to obesity, it is considered to be less about diet and more about correcting underlying imbalance through physical, mental and lifestyle change that requires a plan of care that supports long-term sustainable health. I have had tremendous success by using the following seven naturopathic principles to manage weight. Seven evidence – based nutrition and naturopathic principles of weight loss. 1. Using the healing power of nature: Clients are empowered when they realise that healing is from within and external intervention just support. Barriers to self-healing, such as poor diet, un-useful belief systems or low self-esteem are identified and worked on in sessions or workshops. 3. First, do no harm: Naturopathic physicians use low-risk procedures and healing compounds, such as dietary supplements, herbal extracts and homoeopathy, with few or no side effects. For example serotonin, dopamine and norepinephrine are important in the regulation of appetite and satiety. Rather than using medications such as SSRIs (anti-depressants) we might supplement a patient with amino acid precursors such as 5HTP for serotonin, or L-tyrosine for dopamine and norepinephrine synthesis, allowing the body to make the amount of neurotransmitter it needs. Additionally, we may use a variety herbal medicines or supplements such as Gymnema sylvestre or Chromium to curb sugar cravings, Cynara scolymus to lower cholesterol, Curcuma longa (Turmeric) or omega 3 fatty acids to reduce inflammation, soluble and insoluble fibre for fat absorption inhibition and increased satiety, and adaptogens such as Rhodiola rosea to assist in managing stress and balancing cortisol levels. 4. Empower and educate patients: Teaching clients how to eat, exercise and relax/nurture themselves physically and emotionally is important. We might teach about portion control, the role of protein to sustain energy and the “glycaemic index” of foods to assist in making dietary choices. Additionally, we might teach about relaxation, mindful eating or the role of exercise such as high intensity, intermittent training (HIIT) in fat loss. 5. Treat the whole person: Obesity treatment is not likely to succeed unless the psychosocial, endocrine (producing hormones such as adrenaline, cortisol, thyroid hormones and insulin), metabolic (how the body uses or gets energy from food), and neurochemical (nervous system chemical serotonin and dopamine) aspects of the person are all addressed. For example, we need to explore how body chemicals such as ghrelin and leptin that control appetite and satiety are not switching on and off and causing us to overeat or how stress hormones are associated with low and high blood sugars. 7. 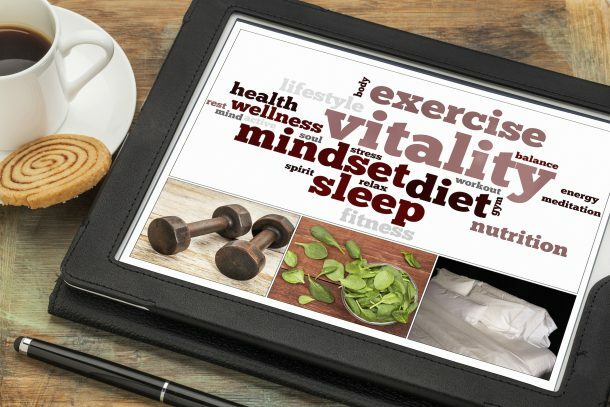 Establish health and wellness: By focusing on prevention and addressing greater wellness, it is possible that patients will be less likely to need treatment for future illness. By supporting great physical, mental and social ways of being we aim to set you up for life. Whether you need to lose weight of not – the naturopathic principles are important for everyone’s health and wellness. Alegría Ezquerra, E., Castellano Vázquez, J. M., & Alegría Barrero, A. (2008). Obesity, metabolic syndrome and diabetes: Cardiovascular implications and therapy. Revista Española de Cardiología (English Version), 61(07), 752-764. N.S. (2011). Understanding pathophysiology. Australia: Elsevier. González, M. J., Miranda-Massari, J. R., & Ricart, C. M. (2004). Effect of a dietary supplement combination on weight management, adipose tissue, cholesterol and triglycerides in obese subjects. Puerto Rico Health Sciences Journal, 23 (2), 121-124. Halford JC & Blundell JE. Pharmacology of appetite suppression. Progressive Drug Research. 2000;54:25–58. Macht, M. (2008). How emotions affect eating: a five-way model. Appetite,50(1), 1-11. Matarese, LE., & Pories W. J. (2014). Adult weight loss diets: metabolic effects and outcomes. Nutritional Clinical Practice . 29 (6):759-67. doi: 10.1177/0884533614550251. Murray, M., & Pizzorno, J. (2005). The encyclopedia of healing foods (3rd ed.). New York, NY: Atria. Pizzorno, J., & Katzinger, J. (2012). Clinical Pathophysiology: A functional perspective. Mind Publishing. Sarris, J., & Wardle, J. (2010). Clinical naturopathy: An evidence-based guide to practice. Sydney, Australia: Churchill Livingstone Elsevier.